By mapping the customer journey, you’ll be able to predict client needs and respond with faster service and personalized offerings. Additionally, this approach gives you a better understanding of how your customers interact with your brand, so you can meet them on the right channels. If you track customers’ interactions on your website or social media, you know what they’re interested in and where they look for you — use this insight to deliver targeted, relevant content that they can act on. This all leads to happier customers. 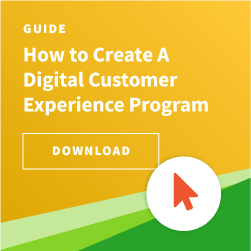 A recent survey by MyCustomer and Quadient found that 71% of banks saw improved customer satisfaction from customer journey mapping, 48% saw a drop in complaints, and 40% saw reduced churn. Not only does mapping the customer journey in your CRM system enable you to deliver a better customer experience, but it also can lead to increased sales for your bank. Using the technology in this way provides the insight you need to anticipate cross-sell and upsell opportunities and offer solutions your customers are looking for. Your CRM is a sales enablement tool, so don’t be afraid to use it as such. Gather all of the data at your disposal, including customer inquiries (or interactions), new accounts opened, and balance fluctuations, and analyze it within your CRM. This analysis and journey mapping can serve as the basis for your sales strategy, ensuring you’re targeting people with solutions that meet their specific needs. Just like all industries, the banking industry experiences high and low seasons. According to Investopedia, there tends to be a surge in loans in March, which then peaks in June and flattens out until early October. Additionally, interest rates are typically higher in the summer and winter and lower in the spring and fall. This all means that your bank’s marketing and sales goals may depend on the time of year; you need comprehensive data to determine these seasonal goals. Your CRM can be used to track trends specific to your bank each season and map customer buying habits at various points in the year. This journey mapping can then guide and support your seasonal marketing and sales strategies, so you push the right products and services at the right time and capitalize on customer interest. For example, if you track customer spending habits in your CRM platform and notice an uptick in home loans in the spring and a drop-off in the winter, you can tailor your marketing and sales efforts accordingly — giving your teams the data they need to target potential home buyers in warmer months. The 360 View growth platform is much more than a standard CRM. With robust reporting and personalized dashboards, you can easily track all customer touch points and develop a robust sales and marketing strategy to strategically meet customers along their journey. We give you critical insights for effectively targeting customers, growing your business, and meeting your annual goals. Want to know more? Schedule a demo with our team today.